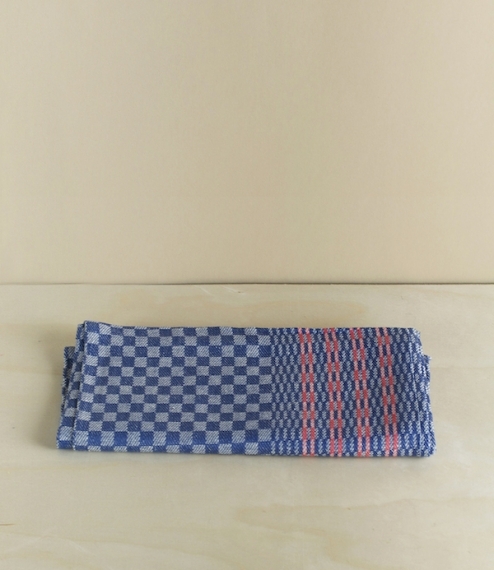 Indigo and white checked jacquard woven 50% linen/cotton union blend kitchen towels with red banding to the long edge and hanging loops to either end. Slightly thicker than our Irish linen glass cloths these make ideal general purpose kitchen drying and cleaning towels. From a now 7th generation family managed company founded in 1810 by Heinrich Christoph Kracht near the city of Lemgo, North Rhine-Westphalia, Germany. Quite large being approximately 100cm long by 50cm wide.